As the resident ‘whatsup girl,’ my friends are always looking to me for fun that notches up their adrenaline level and blows up their Instagram feed. Here’s my bucket list for what we’re doing—why not share the ride? For those in your crew wanting to ramp up their dare-devil spirit it’s time to sore through the sky with Find A Way Flyboarding. You’ll reach new heights as you’re strapped into boots and will soon be flying above Lake Erie’s waters. It’s awesome to dolphin dive through the water or zig-zag from side to side. 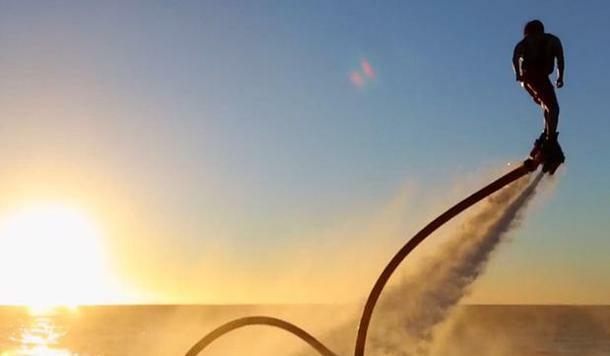 No need to worry about getting lost at sea though, as their encouraging instructors help guide you to flyboard mastery. Longing to live the Cali girl dream? 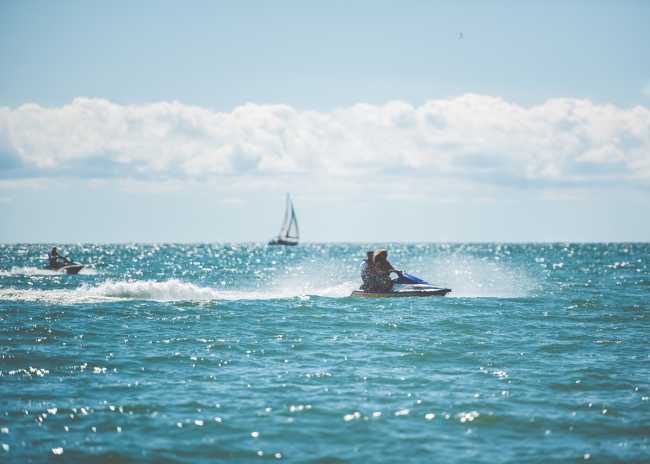 Bridgeview Marnia in Port Stanley offers Seadoo rentals for your best Baywatch adventures. With different hourly options, a ride on a seadoo is an exhilarating break from getting golden on the beach. Next on the list, Boarder Pass in Sarnia. This cable wakeboarding park pulls you by an electric power cable system instead of the traditional motorboat. Do-able for even a first time wakeboarder, with a chance of only a few face plants. For the zen masters in your group, LondonSUP (stand up paddle boarding) combines a challenging yoga practice on a floating paddle board. 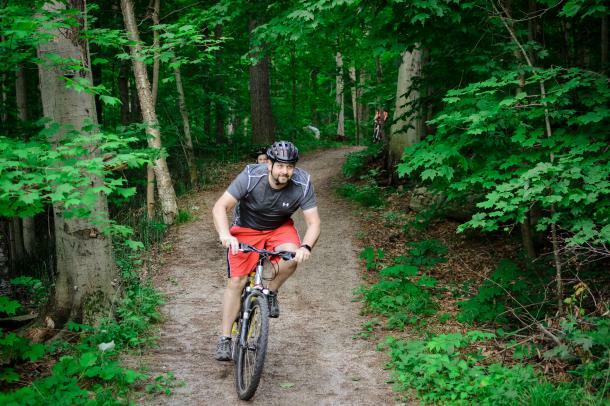 Held at the Sharon Creek Conservation area in Delaware, weekly classes promise a rad core workout while staying focused to keep the board afloat. Balance is key here to avoid a serious soaking. 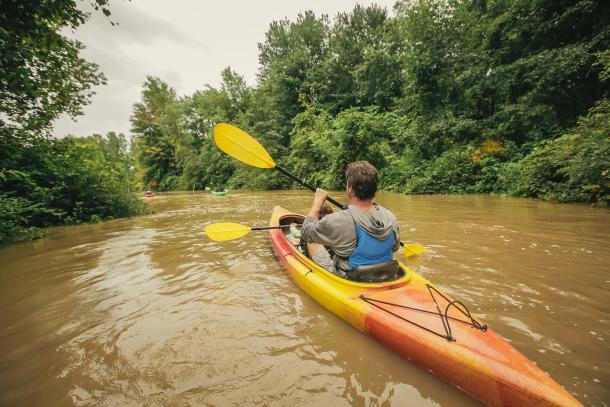 For those wanting a seated paddle experience, Otter Valley Paddle Sports in Tillsonburg has kayak rentals to glide down the Otter Creek. With no sign of gnarly waves, the Otter Creek is great for beginner paddlers. They even offer a shuttle service to get you back to where you started. Following the lake’s coastline west and beyond the beach party at Turkey Point’s shores, is Long Point Eco-Adventures. Decked out in stylish hard hats and harnesses you’ll zip along their 2 1/2 hour canopy tour with: 2 guides, 8 zip-lines, 2 suspension sky-bridges, 14 platforms and a 40 foot repel. Fly like an eagle over the Carolinian tree tops, at speeds of up to 50 kilometres an hour, or swoop over the trees like an owl with a nighttime zip. Then, it’s off to the islands, matey, as Pelee Island is calling! A 1.5 hour ferry ride transports you from the mainland mania to island time. Rent bikes from Comfortech Bicycle Rental, or bring your own and set out on the 28km Waterfront Trail Loop. Pre-book a Zodiac tours with Pelee Island Charters to circumnavigate the island and disembark on Middle Island. Coming in as one of my must try’s, Red Devil Suba Supplies in Chatham. Who knew scuba diving existed in Ontario waters? Red Devil offers several scuba excursions exploring ship wrecks off Erieau and Port Lambton. Certification is required for all open water dives. The team at Red Devil offers advanced dives on the Wexford at Grand Bend for true scuba diehards. In the case of a rainy day, The Factory in London is your go to for adventure. As Canada&apos;s largest indoor family fun centre, The Factory has a wide variety of top indoor attractions, creating endless fun things to do for the whole family. 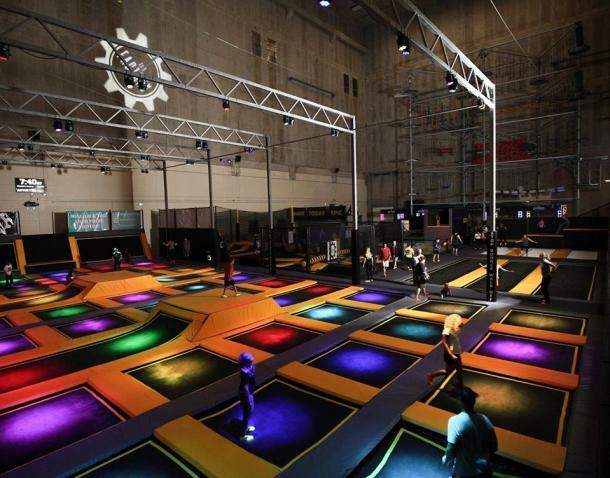 The 20,000 square-foot trampoline park is just the start. There&apos;s also high ropes, warrior course, kids playground, escape rooms, virtual reality, and an arcade! For another indoor, urban adventure, Windsor Rock Gym provides an indoor climbing terrain to test the newbie or the seasoned veteran. They specialize in bouldering (no equipment, no harness) climbing - rock climbing in its purest form. This takes serious strength and technique so it’s no surprise that the boulderers have some rock hard skills. If that’s not you, it may be time to hit the gym before trying this one. So, time to use the remaining summer weekends to grab your crew, get moving and check off our bucket list for some serious southwest adventures.